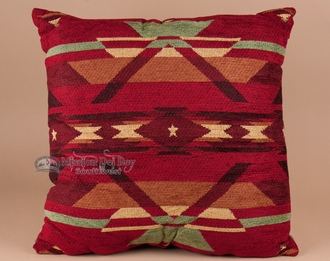 Southwest accent pillows are probably one of the easiest ways to update any room. So easy to use, just throw the pillow around or place them strategically in your space, you can't go wrong. Designer pillows and theme pillows are perfect in all sorts of decor from rustic southwest to western, cabin or lodge native American cowboy motifs. The variety of colors and fabrics is endless and each has its own special charm. Use southwest pillows to make a bold statement.